"Yellow Flowers" processed in LR4 with Pretty Presets "Color Luxe" Clean and Matte Base, then edited in Photoshop with "Tumeric" texture from the Flypaper Pastel Painterly Set. It has been a crazy week with major ups and downs. We went to Austin and Fredericksburg for my husband's birthday and had a great time hiking and visiting museums and wineries. Once I go through my photos I will post a few on my blog. It was really such a great trip and we visited a few places the boys had never seen before. The image above was taking at Hamilton Pool outside of Austin. The fall colors and flowers were gorgeous. We had a wonderful time on our trip and I was sad we had to come back home so soon. That evening, around 4:30 am, I woke up horribly ill with a stomach virus (norovirus?) and felt so sick I thought I was going to die. I spent yesterday crawling from the toilet back to the bed with occasional thoughts of "Oh my gosh, I have Ebola" crossing my illogical sick mind. We had visited Dallas at the height of the Ebola crisis, but I was pretty sure I just had a normal stomach virus since my both my sisters, their families, and my mom had just gone through the same virus and had survived. Today I am weak but was able to eat a bit of breakfast. The kids are happy I feel better, but they did enjoy the hours and hours they spend on Minecraft and watching the Penguins of Madagascar. I don't like my kids spending too much of their lives on screen time, but when any of us are sick there are no limits. :-) What in the world did moms do when they got sick before they had a television to babysit the kids? That's awful, Rita! I hope you feel better soon! I am terribly sorry you were so ill but am glad you are recovering. I read your blog and miss Texas so much. It is nice to read of it. I do visit a couple times a year, and 'tuck away' places you've been as possible future visits. 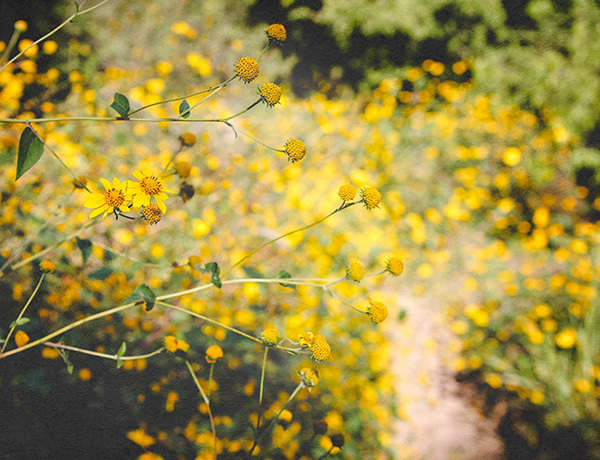 Your yellow flower photo was lovely! Take care, get well soon!